Memorial services are scheduled for 10 a.m. Saturday, April 2, at Faith Baptist Church for Kenneth Wayne Wood of Artesia. Wood, 70, passed away Sunday, March 20, 2016, at his home. Pastor Michael Duff will officiate at the services. Cremation has taken place under the direction of Terpening & Son Mortuary. Kenneth was born June 8, 1945, in Artesia to Joe Thomas and Violet Ellen (Stone) Wood. He served his country in the United States Army during the Vietnam War. On July 25, 1970, he married Kathleen McCabe in Phoenix, Ariz.
Kenneth was a heavy equipment operator for Sweatt Construction for more than 30 years, officially retiring March 9, 2016. 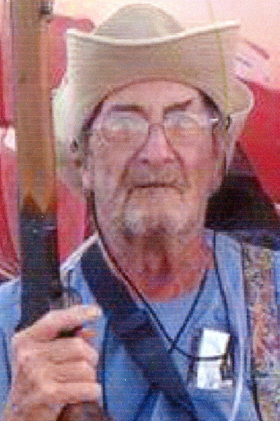 He was an avid outdoorsman, including fishing and hunting, and he also enjoyed hunting for arrowheads. He loved to spend time with his family and grandchildren. Survivors include daughter Waynette Stormoen and husband Dewey of Hope; son Joe Wood and wife Cindy of Artesia; grandchildren Shelbi, Caleb, Nikki, Colton and Alyssa, all of Artesia; great-grandchild Devny Jane of Artesia; brothers Tommy Wood and wife Dolores of Corning, Iowa, and Billy Joe Wood of Artesia; sisters Sheryl Clark of Artesia and Josie Van Curren of Lovington; numerous nieces and nephews; and lots of friends. He was preceded in death by his wife, Kathleen Wood, on Dec. 13, 2014; his parents; and a sister, Carolyn Sue Trujillo.